An illustration of people swimming in a man-made lagoon. 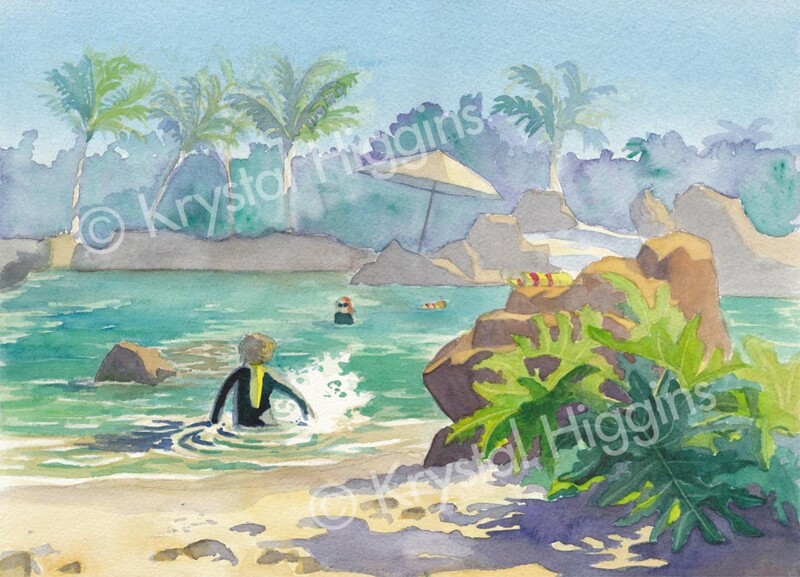 I enjoy the soft color palette and the story around the wetsuit-clad kid making a splash. The original was painted on 300 lb Arches coldpress paper with Winsor & Newton paints.